A Force Multiplier is a military term that refers to any factor that can increase the effectiveness of a group, and enchances the probability of a mission's success. 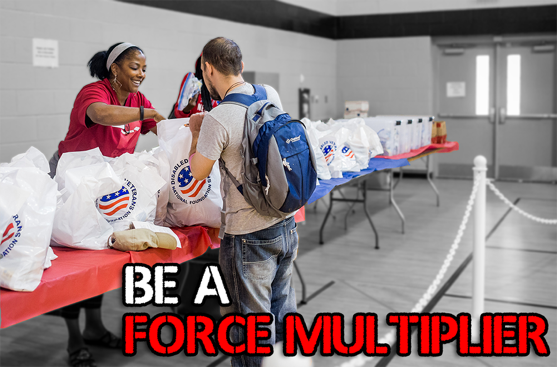 When you join our Force Multiplier monthly giving program, your generosity enhances our ability to successfully execute our mission to serve veterans. Through DVNF's Health & Comfort program, your monthly pledge gives our most vulnerable veterans the basic necessities they can't afford - like toiletries. And through our grant-making, your support gives veterans with mental and physical disabilities hope for a better tomorrow.